Contact the utility companies – make sure that the gas/oil, electricity, cable and any other utility services know that you are selling your home and the day you will be closing on the property. They will likely schedule a time to do any appropriate final readings (i.e., your oil tank, propane tank and/or water meter). This helps ensure that you won’t receive utility and other bills on a home you no longer own. Confirm receipt of your smoke/carbon monoxide (CO) inspection certificate and/or your Title V inspection certificate (if appropriate) – your listing agent will likely have coordinated this inspection with the town’s fire department for the smoke and carbon monoxide devices. There is a nominal fee payable to the town, and the final certificate is part of the closing paperwork. Similarly, if you live in a town with private sewerage, you need to have a Title V inspection done to make sure your septic system is functioning and compliant with the state’s regulations. The Title V inspection costs a few hundred dollars (depending), and it is also part of the closing paperwork. Reserve a safe place for important documents and items – this is important for sellers too during a move when things have a tendency to get rather chaotic. Put your passports, birth certificates, medications, etc., in a designated place so they don’t get lost in the move. In fact, I recommend putting them in your purse or briefcase so they are “on your person,” as they say, rather than on a moving truck. Confirm your moving logistics with the moving company – by this time, you will have hired a mover so check in with the company to confirm the arrival time on moving day and any other logistics. 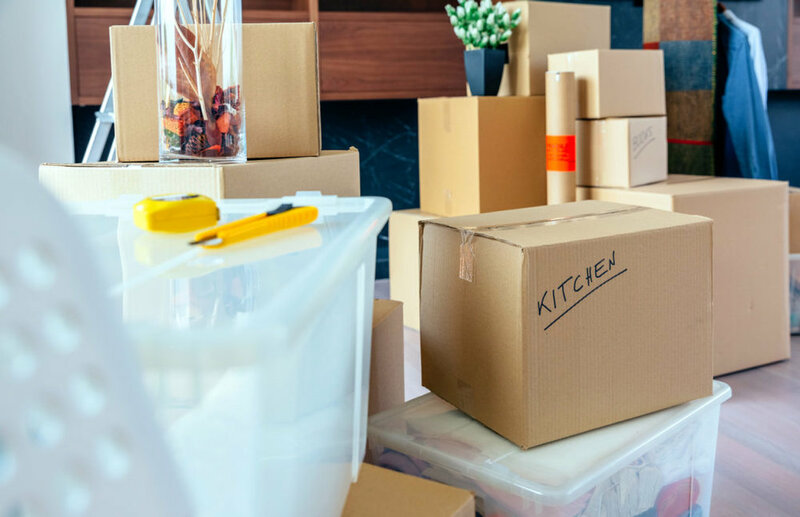 Pack up any last minute items – make sure not to forget the harder items to move or package, including plants and/or extremely fragile pieces that you want to transport yourself. Finish up any remaining home inspection items – after the buyer’s home inspection, there may be items that the buyer has asked you to address or repair. Before you close the door for the last time and before the buyer’s final walk through (see the next bullet point), take another spin around the house and make sure all of the inspection items have been properly fixed and completed. Make sure the house is “Broom Clean” for the buyer’s walk through – most buyers schedule a walk through of their new home the day before or morning of the closing. During the walk through, the buyer will check to make sure everything has been removed from the property (including all of the knick knacks in the cabinets and drawers) and that all inspection items have been repaired or resolved. Review the HUD-1 Settlement Statement with your real estate attorney – the HUD-1 Settlement Statement is usually available to review with your attorney prior to the closing. In fact, most sellers don’t usually attend the closing and will instead give power of attorney to their attorneys. So it’s important to make sure you’ve reviewed, understand and approved the settlement statement in advance of the big day. Remember the tax stamps – where we live in Massachusetts, the tax stamp rate is $4.56/$1,000. So if you’ve sold your home for $1,000,000, you’ll owe $4,560 in tax stamps at the closing. Leave any appropriate keys, garage door openers or other relevant devices for the buyer – this is crucial because otherwise you will be getting a phone call from the buyer asking how he can get access to his new home. Compile a list of vendors, operating manuals, warranties, etc. to leave for the buyer – this is a very nice and helpful thing to do for the buyer, and most sellers are happy to compile this information to pass along to the new homeowner. Complete a change of address form at your post office – it’s important to make sure that you are the one who gets your mail and not the buyer who just bought your home. Leave a personal note and/or gift for the new homeowners – I have seen this done several times, and it’s such a warm and gracious way to end the home selling process. It also coveys good karma all around. Have some bubbly – you have successfully sold your home, and it’s time to move forward with your life whether that be in a new home you’ve just bought or a condominium you’ve just rented – Bubbly Time…. I think I’ve touched on almost everything…. When you sold your home, were there other things you did just prior to moving day that you would add to the checklist? I can’t wait to hear…. * This list does not include the packing of items and furniture and the determination of what is being given to goodwill or other family members, thrown away, potentially sold at a yard sale or to a consignment shop and/or moved to your new destination as these efforts are part of the overall and ongoing moving out process.